Courtesy of Compass RE Texas, LLc, Jeff Watson. 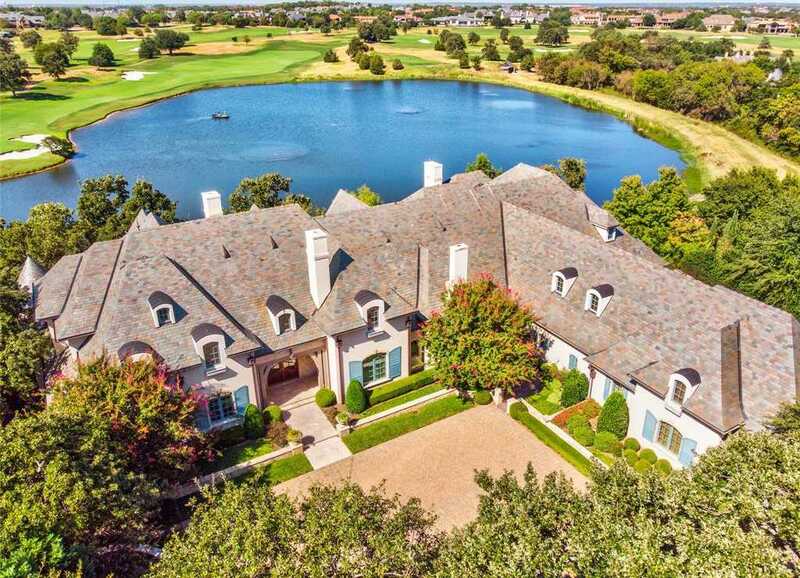 French Country Estate with Vaquero’s best golf course & lake views! Authentic finishes throughout with White Oak floors, French Beaumanier limestone, antique marble & Italian tile. Exquisite custom handcrafted wood trim, beams, doors & staircases by Hull Historical. Spacious kitchen features Lacanche range & oven, Sub-Zero, Miele & Hoshizaki appliances & is centered around a built in family dining banquette with additional barstool seating overlooking fireplace. His & hers master baths have heated floors, spacious closets & luxurious finishes. Large exercise studio overlooks the lake, private guest suite down, craft room & utility room, dog run with astroturf, dual offices, oversized garage. Geothermal HVAC. Please, send me more information on this property: MLS# 13628455 – $5,500,000 – 1112 Post Oak Place, Westlake, TX 76262. I would like to schedule a showing appointment for this property: MLS# 13628455 – $5,500,000 – 1112 Post Oak Place, Westlake, TX 76262.